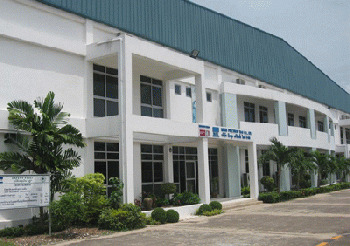 Back to Fact-Link's Top Page > Stamping > Mitsui Precision Thai Co.,Ltd. Our head-quarter is located in Kanagawa and has factories at Nurumizu, Isehara, Sagamihara, Aikawa and Akita in Japan and one factory in Thailand. We supply high quality products with high-class machines and equipments and also well-organized production line for die and mold fabrication, stamping and injection and also assembly work for some parts. Among IT industries these days, we have been required to manufacture more compact parts and more précised parts. In order to respond the needs, we have installed many kinds of production machines and other equipments and we are developing the products with high quality by well-trained engineers based on our policy of “Excellent products made by excellent machines”. 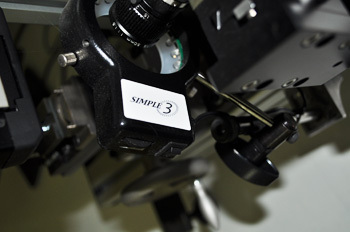 Our stamping products are used in the various IT equipments such as mobile phone and HDD parts. We are manufacturing full process from die fabrication and other production process within our group factories. We supply plastic parts and housing for automobile and computer equipment. We have lot of experience for injection parts for HDD and we are confident to develop other précised injection parts for other industries. 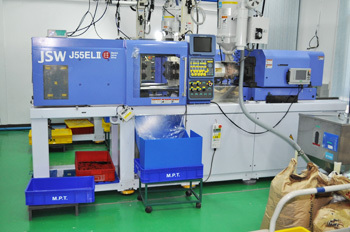 Die and mold must be essential technologies for mass production for any products, metal and plastic. 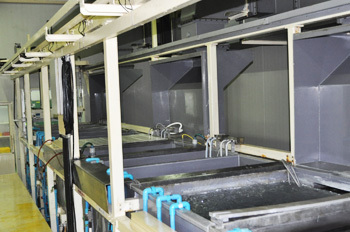 After die, mold fabrication, full process of trial products and mass production should be done within our company.